Are You Holding Your Website Hostage? Digital Marketing is Everyone's Job! - Wood Street, Inc.
Back then, anything to do with the Internet was considered to be an IT issue. Our approach was really more in line with marketing and communications than with IT. We write code and work with software. But, we do this to extend, promote, and maximize the voice of our clients while achieving their marketing goals. So, why I am going on and on about whether or not we’re an IT firm? Because it speaks to a larger issue happening with lots of businesses today. Who is in charge of your website? IT or Marketing?? There’s a great book called Marketing in the Round by Gini Dietrich and Geoff Livingston that addresses this quite well. In it, they talk about breaking down silos. 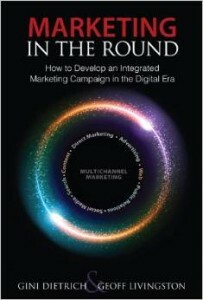 Marketing in the round means that marketing is an enterprise-wide task rather than a task delegated to one department. Traditional advertising has become interactive. Social media is everywhere – people talking to people. Everyone is addicted to their mobile phones. The name of the game now is utility – creating a web and mobile presence that’s useful to your audience, more than once. Successful websites and mobile apps solves problems. What problems do your clients have? What unique solutions are you offering them? Bringing your sales team into the marketing conversation is a no-brainer. They talk to your clients every day. They are your front line. What are the hot button issues that always seem to come up? What are the aha moments and what are they about? Could these be recreated for a larger audience? What sets your firm apart in the eyes of the clients? Getting this insight from your sales team will help you get out of the marketing bubble and get more connected to the target audience – real people with real stories. These people are crucial to the success of your digital marketing strategy. Think about it. They’re answering questions and solving problems every day. Knowing your client’s needs helps you to extend your digital marketing way beyond advertising. If you know of a recurring need, find a way to fill that need with your website, or even a mobile app. Is there some way that technology could shorten the path to solution for your clients? And in doing so, how does that build value? That value could come in brand recognition, more sales, more referrals, more leads, and more. 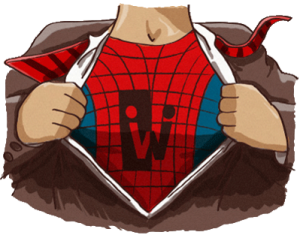 Solving problems for your clients make you a hero to them. They will return the favor by doing business with you and/or recommending you to their network. These are the doers. They do what your company is hired to do. This could be filling orders, digging holes, building houses, you get the picture. Sometimes this team’s perception of what you do could be vastly different from another group. And this difference could be what sets your messaging apart. Ask these doers for their opinion and then listen. You might just be amazed at what you hear. They didn’t get where they are without some level of passion about the company, industry or cause. Work with this group to tap into that passion. What do they care about? And how does that relate to your target audience? This group has the subject matter experts. See if you can tap into this knowledge base for an ongoing content campaign. I know it’s difficult to get this group to commit to writing for a blog. The c-level folks wonder what the immediate return would be for a blog. Is it readership? Then what? Remember, that content marketing is about being useful and building content that gets you found – SEO. We see companies struggle with this all the time. But, it doesn’t have to be this difficult – as long as you’re able to explain the long term goals of a content strategy. Do weekly interviews. These can be in person or over the phone. The trick is to record the interview. Just have a 5 minute conversation with them and record it. Take that recording and have it transcribed. You will be amazed at how much useful information you get out of this. – search Transcription Services on Google, some are just a $1 a minute. Email them a question. Take the response and edit it to be a blog post. Or make it a series of questions that turns into an eBook. Ask them to copy you on emails or forward their email responses to questions from clients, members, etc. These emails can contain a wealth of great information. Take that and edit it into a blog post. I would not recommend trying all of these at once. This is a busy group and they don’t want to be misrepresented. Or try an a-b-c test: one of each technique for three different people. Do what works best for them. And share the finished piece with them so they know what you’re up to. You want to get them excited about this process so they eagerly participate each time. Make sure their name is attached to whatever you do; folks love to see their name in print. Whatever you do, make it painless and even fun for them. Want to know what your target audience needs from your website? Ask them! Customers/Clients/Members/Constituents. Whatever you call them, this is your target audience. You may be thinking, “Well, duh!” But, how often are do you involving them in your marketing planning? Sometimes a simple Survey Monkey survey can provide a wealth of information. The key is to make it simple. A 10 question survey can yield a wealth of insight. Or even shorter. Allow a narrative option: What one thing could we do to improve our service (or whatever)? Then you have to read them. IT is all about the computers doing the work. Good marketing is not always about automation. If you’re working with the groups, you should already be getting a ton of great client insight. Whether it’s stories from the sales team, issues the customer service folks are dealing with, or exchanges between the CEO and your top clients, these all involve your target audience. You might be one of those marketers who thinks that big data can replace all of this. I mean, the numbers don’t lie right? Well, the numbers don’t lie but the interpretation of that data and how it’s used can vary greatly from person to person or team to team. Data without insight is just data. Data is important and can be incredibly valuable. But, without the stories, the problems, and solutions, data’s value is limited. You need the personal connection. For more on the value of data, I would recommend reading this post from Mitch Joel – Sometimes Data is Just Data. With this army of experts at your fingertips, you have a pretty powerful marketing arsenal. Competition online is fierce. If you’re not creative and innovative, someone else is. And they’re taking your traffic. Take a problem from Customer service and Google it, can you find an answer? Where is it? Take a product description or part number or abstract name and try the same thing. If you were the customer or prospect what would you do? Be honest. Make sure you can easily update your website’s content with a CMS. Arm yourself with the information and people you need to be effective in today’s marketing landscape. Take that information and those experts and turn it into marketing gold through your blog, social channels, or your app. Marketing today is a conversation. Don’t you agree? You know what’s fun? Opening your email and seeing your book cover staring at you!